I've really been looking forward to more "mountainous ultras" since last year. UROC had almost 40 miles of roads, and after the race's painful, slow, and depressing finish, I realized that I really like mountains and that I should just do what I love. Going into Zane Grey, the course seemed mountainous: a little elevation, 10k of climbing, technical terrain, etc. etc. etc. What I found on race day was hundreds of small climbs (and small descents), trillions of loose rocks (like marble on concrete), and a consistent course that would dive down to the left and up and to the right hundreds of times. To put it simply, it's a really hard and weird niche race. If you've ran the course before (i.e. winner James Bonnett since he was 16) then you get what it's all about. 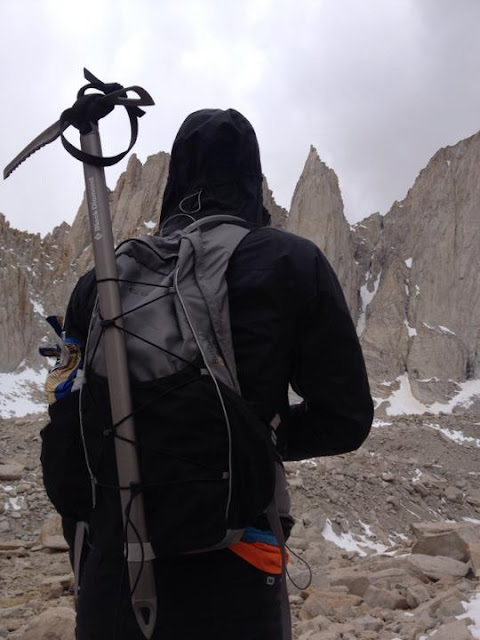 There's a rhythm, there's places to push and places to conserve, the footing is a puzzle, and there's some really challenging places that will hurt if you fudge the footing too much. I went out hard with the lead pack for the first 12 miles or so until my knees couldn't take any more poor form. I'm the type of runner that loves to fly on the downhill, but the blend of switchbacks, ruts, rocks, and less than 100% knees meant I was in the meat grinder on every downhill after 10 miles. I considered dropping at 23, but continued on hoping for some breakthrough. The 11 mile stretch went on forever and finally at 34, I'd sufficiently convinced myself that I would have no knees left for the summer if I kept going. Heck, I might end up walking into the finish (which Katie did for 17 miles). So, I surrendered to Zane Grey. Ian Torrence had a good time heckling me while I was licking my wounds at 34, but he ultimately would sit in the same pain chair at 44 where I would heckle his withered body and slide ice cubes in his compression tights (Mother Theresa-like). It's a funny thing how rookies and veterans alike find the race so humbling towards the finish but have great enthusiasm at the start. I expect the rookies like myself to be clueless about the course, but Ian has done the race many times (maybe a dozen?) and he keeps sliding on his visor and coming back for more. 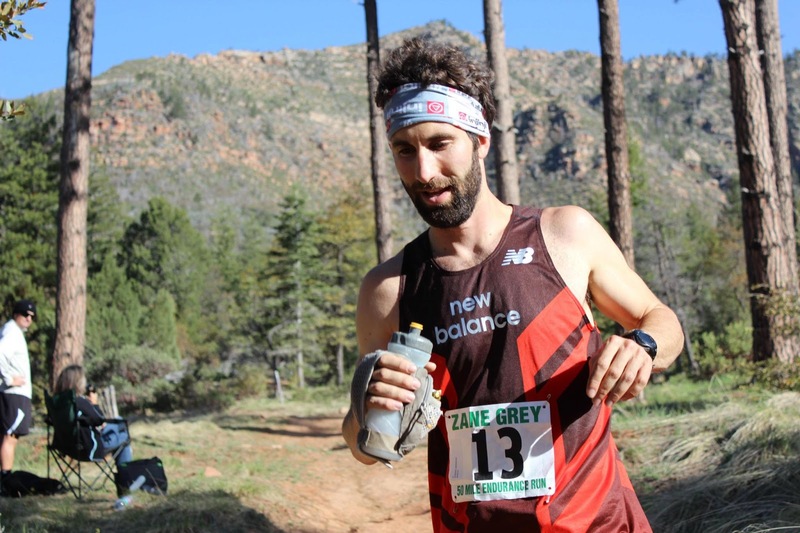 His courage is admirable, and a micro analogy within ultra running about how we have so much relative comfort available as ultra runners, but we continually seek out pain and come back for more. 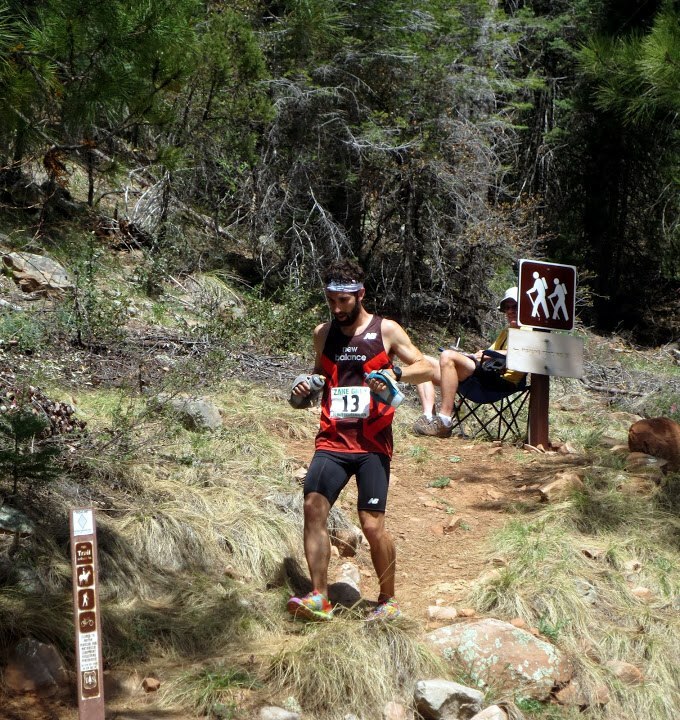 Could we run races with more cushy, fun, less painful terrain? Yes, but then we'd be no better than marathoners that avoid races with any climbs greater than 6 inches (and are equipped with less than 6 inches of.. heart). As Scott Jaime eloquently put it during a car ride back to the start at 11pm, we essentially run to recreate excellence or improve upon it. If we fail, the contrast against success is huge and depressing. If we succeed, we are hungry for more though we know success never lasts forever. I don't know if I'll sign up for Zane next year, but I'm guessing I'll be somewhere very challenging in April which could easily be anywhere. Sun: 21mi, 6,300ft, Whitney (Mt. 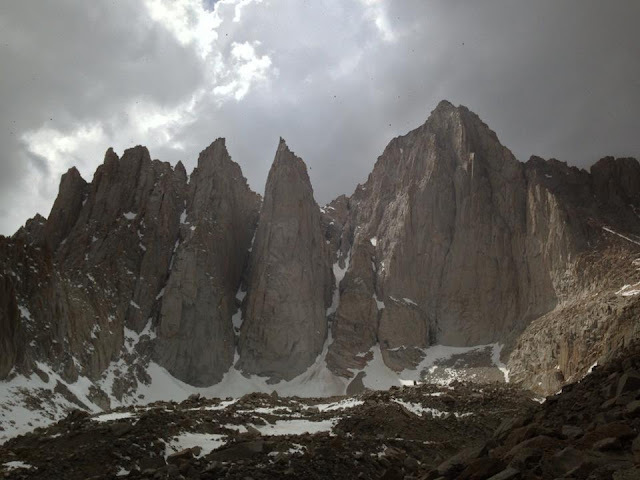 Whitney Trail) - Easy hiking up to the summit, where Katie got a debilitating headache that made for a slow descent. I got to spend a lot of time at altitude and take some pictures. Not a bad trail to savor at all. I'm grateful to have made a successful recovery and be on the way to some good mileage for AC training. I'll be posting some bigger numbers here as well as on strava.com so that mileage can be counted in a visually convincing way. I've also found my trusty New Balance 890 re-incarnated in a 0.5 oz heavier trail shoe with a rock plate and sick 80's skateboard styling, the mt910. I might post an gear review here soon.